November 16 at 7:30 pm and November 17 at 1:30 pm and 7:30 pm at the Capitol Theatre. 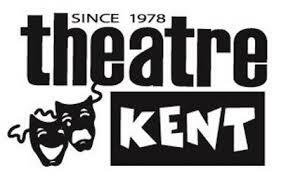 Join Theatre Kent members past and present for a musical stroll down memory lane featuring songs from our favourite musicals like Annie, Chicago, South Pacific, The Sound of Music and so many more. February 7-9 at 7:30 pm at the Kiwanis Theatre. Watch newlyweds Corie and Paul Bratter as thy adjust to married life in the cramped quarters of a sixth floor wall up in Greenwich Village Brownstone. This show has been a perennial favourite ever since it debuted in 1967. Theatre Kent did it the first time in 1983. This crowd pleasing murder mystery has been thrilling audiences in London, England ever since it first opened its doors back in1952, Theatre Kent first performed this show in 1982.